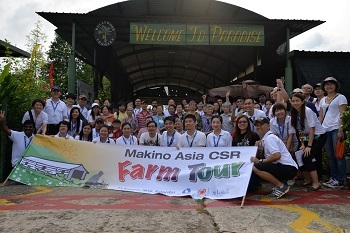 The staff of Makino Asia Pte Ltd brought the elderly from St Luke’s Eldercare (Jurong East Centre) for a farm visit at Bollywood Veggies on 23 Jan 2016. 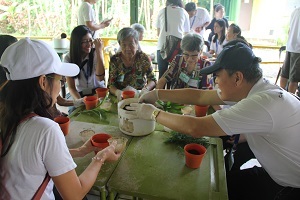 ​ During the visit, the elderly were given hands-on experience with basic pottery. The farm staff also conducted a light-hearted sharing session on some knowledge of their plants and vegetation. Lunch and transportation were sponsored by Makino. This event was a part of Makino Asia’s CSR project for 2016. 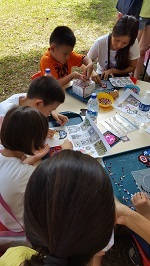 Family Carnival "Down Memory Lane"
The children from Free Tuition had a chance to visit a Carnival "Down Memory Lane" on 7 May 2016. Mr Sunny gave out coupons and the children enjoyed fun games and dance performances. There were lots of delicious home cooking from recipes of Yesteryear as well. Transportation was also covered by Mr Sunny. 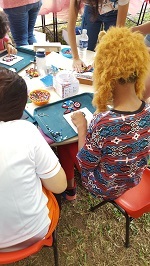 Children crafting cartoon characters using beads. 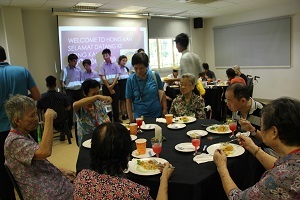 Hong Kah Secondary School, in relation to their Molecular Gastronomy module, held a lunch event at their school on 26 May 2016 for 20 elderlies from St Luke’s Eldercare (Jurong East Centre). 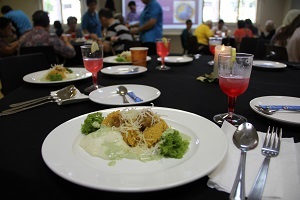 ​The food that was served was halal and in western style together with mock-tails specially catered to the elderlies. 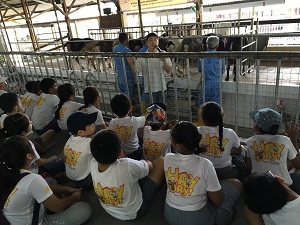 A farm tour was organised and sponsored by Select Group for our Free Tuition students on 14 May 2016. ​The tour consisted of a visit to the Goat Farm, Fish Farm and Vegetable Farm. Lunch and transportation were sponsored by Select Group at Select Group's new restaurant. Mr Vincent Tan, Managing Director of Select Group Limited exchanged tokens of appreciation with Mr Goh Cheng Tee, Chairman of Loving Heart at the end of the event. 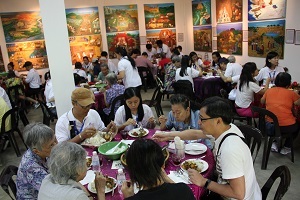 Temple Organization, Yin Sheng Dian organized an elderly lunch and invited 40 elderlies in Sungei Tengah. 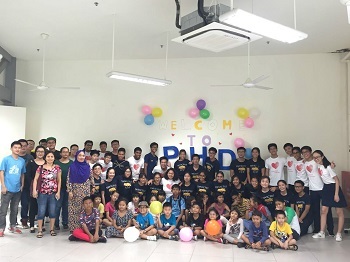 30 elderlies from ​St Luke’s Eldercare (Jurong East Centre) were invited. The elderlies were entertained with performances and games during the lunch and they each received a red packet at the end of the event. 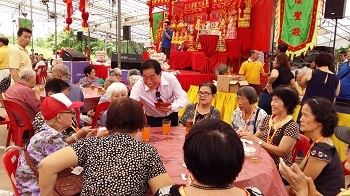 20 elderlies from Blue Cross Thong Kheng Home and 20 elderlies from Bo Tien Home for The Aged​ were invited to attend a lunch organised by Jin Bao Tan, a temple organisation. The elderlies enjoyed their meals and the performances, they all received red packets after the lunch too. 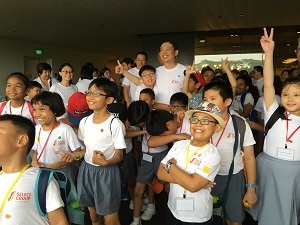 The members of Singapore Polytechnic's Scuba Diving Club treated 25 Free Tuition students to an afternoon at the SEA Aquarium on 19 November 2016 by bearing the cost of the tickets and transportation, allowing the students to have the opportunity to be exposed to a variety of marine life. 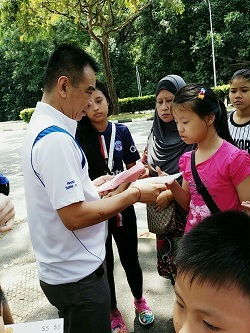 A Service Learning Journey was organized by the students of Anderson Junior College for 27 Free Tuition students to explore Sentosa on 5 December 2016. The cost for the entire journey was borne by Anderson Junior College.